Effective health and safety provisions will minimise the risk of injury, accident costs and downtime in your business. 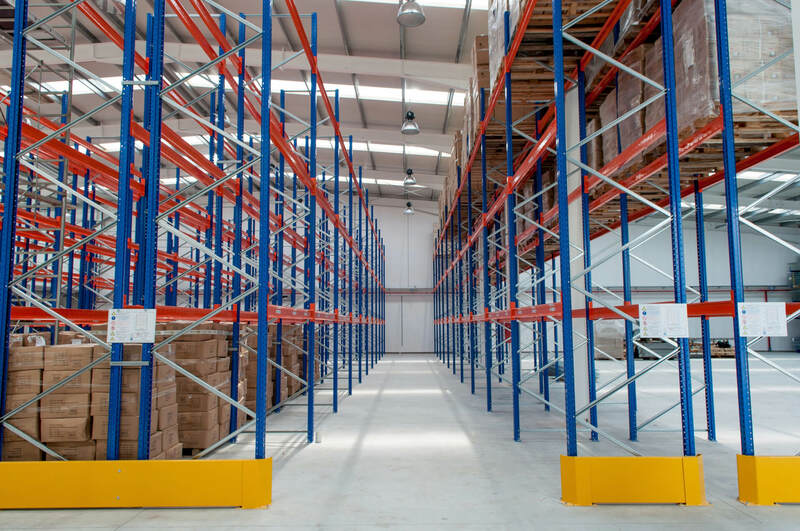 At Advanced Handling & Storage Ltd, we can offer second hand safety barriers and bollards to help increase the safety in your warehouse. Pedestrian: keep your workers and visitors on the safe path through your workplace with high-visibility pedestrian barriers. Handrails: add handrails to your pedestrian barriers to provide an even clearer path that can also lend a safe form of support. Access gates: these access gates come in sliding or swing designs and can be combined with handrails and barriers. Rack end barriers: prevent damaging collisions to factory racking by fitting high-visibility rack end barriers. Bollards: collisions can be extremely damaging to workplace vehicles, so make sure to fit highly visible bollards at entrances and exits. Car parks: these safety barriers can prevent damage to your parking structure as well as vehicles. Contact us on 0800 345 7088 or send an email to sales@advanced-handling.co.uk if you have any queries or wish to add a safety barriers system to your warehouse. Our range of used safety barriers is constantly changing as we are always buying and selling stock. We are always interested in buying your second hand barriers. All we ask is that you contact us with some photos displaying what you have and any measurements that you have.